The George Main Stakes is a mile feature held at the famous Royal Randwick Racecourse in Sydney each Spring Racing Carnival during September. The headline race at the meeting it is run over 1600m under weight-for-age conditions and is worth $500,000 in total prize money. Named after a former chairman on the Australian Jockey Club, the George Main Stakes offers an exemption to the winner into the Epsom Handicap. A Group 1 race since 1979 it has been won by many star milers including Winx (2016-17), More Joyous (2010), Grand Armee (2004), Lonhro (2003) and Shogun Lodge (1999) as well as the dual champion Kingston Town (1981-82). This year the George Main Stakes runs on Saturday September 15, 2018. George Main Stakes betting markets in recent years have featured 10 or fewer chances making it one of the easier Sydney Spring Racing Carnival majors to pick the winner of. The odds are usually led by horses that ran well in their lead-up races like the Group 2 Chelmsford Stakes that produced Kermadec (2nd in 2015) and Winx (1st in 2017), the Group 2 Warwick Stakes that Winx (1st in 2016) came via for her first win in the race and the Group 3 Tramway Handicap that most recently produced a winner in 2011 when Sincero completed the double. Favourites in the George Main Stakes odds have dominated the results over the past decade including seven of the eight winners from 2010 – 2017. The last double-figure George Main Stakes winner to score an upset was Road To Rock ($41 in 2009). The leading George Main Stakes 2018 betting odds will be available here for punters the week of the race so stay tuned to access the premium Group 1 spring racing odds in Sydney this season. Our Ladbrokes’ insider George Main Stakes 2018 tips and Group 1 racing selections will be detailed below the week of the race so bookmark this page to see the gallopers to get behind for the win. The George Main Stakes field has a capacity of 20 starters plus four emergencies, but is not commonly run at that maximum. Horses often come into the George Main Stakes field, which is the opening Group 1 race of the Sydney Spring Racing Carnival, via a lead-up run in the previous month’s Group 2 Warwick Stakes (1400m) or the Group 2 Chelmsford Stakes (1600m) run over the same track / distance a fortnight prior to the elite level feature. Other gallopers may run first-up in the George Main Stakes field, or come off a run in the Group 3 Tramway Handicap (1400m) run on the same day as the Chelmsford Stakes. Winx (2017) became the seventh favourite in George Main Stakes betting in eight years to salute for the punters. Photo Credit: Steve Hart. The official George Main Stakes 2018 field and barrier draw will be released on Wednesday September 12, 2018 and published in full below so stay tuned to see the horses that make the line-up for the first Sydney Group 1 race of the spring. The George Main Stakes 2018 nominations closed on Monday September 10, 2018. This year’s nominations include Winx, who attempts to win her 27th straight race, as well as Kris Lees’ three-time Group 1 winner, Le Romain. The George Main Stakes form guide features all the facts and stats you need to place a well-informed wager on the race including the jockey, trainer, weight allocation, barrier, age and lead-up form of all the horses in the field. No George Main Stakes winner since Road To Rock (2009) has finished worse than fourth in their final lead-up, so looking for horses that ran well last time out on the George Main form guide is a good tip. George Main Stakes tips are a great way to get an idea of who to back and who to sack in the mile classic and most commonly have the favourite selected to win. Favourites have an excellent record in the race, so backing the top fancy in betting is a top George Main Stakes tip. 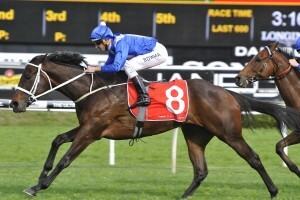 Sydney trainer Chris Waller prepared five of the six George Main Stakes winners from 2012 – 2017, including Hall of Fame mare Winx (2016 and 2017), so looking for in-form Waller hopes in the field is also a good racing tip. The George Main Stakes results are known each year after the event runs at Royal Randwick on George Main Stakes Day in mid-September and display the winning horse, successful trifecta, winning margin and time so you can see how your bets went. From 2010 – 2017 the favourites saluted for the punters in the George Main Stakes seven times and notable recent George Main Stakes winners include Winx (2016-17), Sincero (2011), More Joyous (2010) and Racing To Win (2006). The official George Main Stakes Results 2018 and race finishing order will be known once the race is run and won on Saturday September 15, 2018, and published below.